A triple blond that is both simple and complex. Simple thanks to the method that releases a sweet zest at the tip of the tongue that is joined by a bitterness that rapidly makes its presence known in the mouth. Complex because the raw materials release their full individual flavours, each equally robust with the bitterness of hops and supple malt flavours. 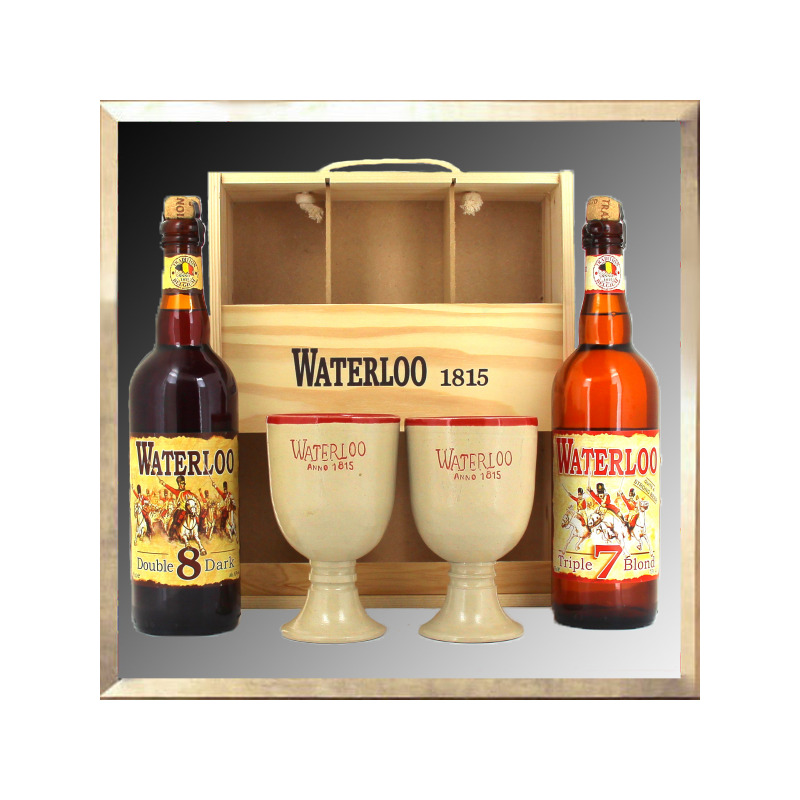 A brewing method that has all the hallmarks of a victory worthy of the name Waterloo. Its nose with coffee aroma is allied to a pronounced tint, with severe but disciplined character. Its flavour develops gradually on the tongue as a real strategic plan to remind, if one needed, the enthusiasm of the soldiers of the Battle of Waterloo, who certainly will have enjoyed the virtues of it. It aims to be strong and reassuring, by getting a conclusion toward a sweetish sensation mainly at the throat, symbol of a reward widely deserved in the twilight of a very busy day.